Let me finish how paid content creators pushed EVE to the brink of its destruction. As I wrote, content creators get money from CCP by a cut from PLEX sales via affiliate links and by media deals. They also get exclusive development information and can influence development, both formally (CSM) and over beers. To keep on with their businesses, they must cut deals with other content creators that removes real conflict from EVE. Fights are staged "for fun" with no chance of deciding anything strategic. Fear of defeat: if Goons would figure out some method to destroy my project, line members quitting means losing their PLEX affiliate money and my next in-game move might not catch the attention of readers, losing traffic. Afraid of these, I might cut a deal with Goons to change GRR in a way that no longer threatens them, just become another staged fight. This is the smallest problem as my defeat can be published as an ordeal and readers love the "hopeless underdog trying again" stories. PLEX dilution: this means that for PLEX affiliate links I recruit and cater to players who are useless in-game. For example I recruit a bunch of highsec miners who are so bad that they can't even PLEX their accounts and make them believe that the few ore holds of veldspar they donate will bring down Goons. Of course I need to make deals with possible wardeccers to not stomp on my little PLEX-farm. It's a bigger problem, but still can be avoided if I'm mostly living off my media traffic and not PLEX affiliate money. Traffic exchange: this means that in return of TMC linking me and Goons are pinged to fight me, I - again - change GRR in a way that no longer threatens them, just become another staged fight. Since traffic from the Goon propaganda site would be huge, rejecting such offer means giving up on lots of traffic. As you see, these are all problems if my bills depend on what I do in EVE, however they are not critical. 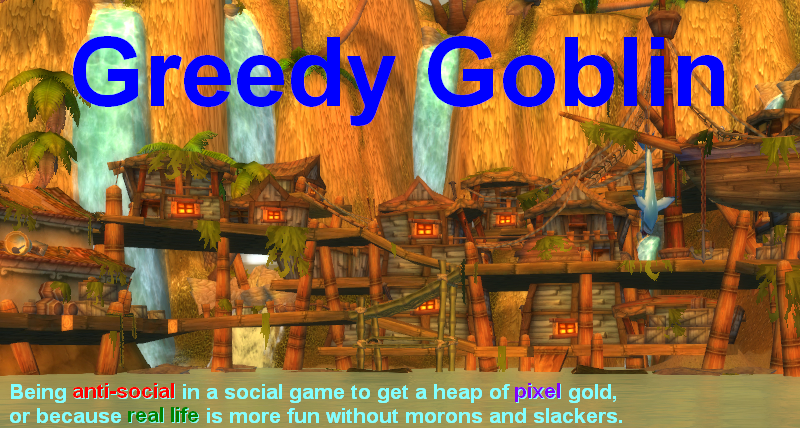 I could go on with traffic-based income while Goon media is ignoring me, having no PLEX-affiliates and fighting off attempts to destroy me in-game. However the fourth thing would be a total and complete destruction of my content. The end of GRR, the end of my narrative, the end of everything you come here reading. I've been there once, when I lost interest in WoW and came to EVE. My traffic hit the ground and it took a year before I established myself as an EVE-blogger. It was a hard time for me as a blogger as we want to be heard. But since I never made a dime from this blog, losing its traffic meant nothing financially. My point is that if my electricity bill would depend on my traffic, I would never, ever risk being there again. I would never risk the fourth thing coming true. Please stop reading and try to figure out what it is. What could destroy everything I had in EVE? (besides being banned). If you've given up trying to figure it out, scroll down below the banner for the solution. It's winning. If I'd win, my project would be over. I proved my point, I convinced everyone that I'm right, I made a story matching the end of BoB. But I'd have no content for my blog anymore, I'd be out in the cold again with just a minimal traffic till I find a new voice again. To avoid this, I must avoid defeating Goons. And if I'm already avoiding winning, why not make a deal to avoid losing, to secure a PLEX-farm and to get some traffic from the Goon propaganda site?! You see no PLEX affiliate link on my blog. I have a free trial link that effectively means another non-plexed account. I have no ads on my blog. I started no crowdfunding. I haven't made a single dime blogging since my first post in 2008. My blog is a work of love for the idea of meritocracy. I want to win over Goons who preach the very opposite. I couldn't do that if I was a paid content creator and no paid content creator can do that. If you want to play EVE instead of being the milked cow of a paid content creator, immediately quit any group that has PLEX link or high traffic site with ads. Start your own project (may that be just "I roam lowsec in a Drake and see how it goes") or join mine to destroy the largest coalition in game that not only collected countless letters of human tears but also spearheaded changing the only PvP sandbox game into "Arathi Basin bridge in space" just to make pennies (if they'd be making serious money, they wouldn't need crowdfunding for $150K). PS: This guy is a perfect example for PLEX-dilution: he is only kept because he replaces his moron-fit dread by buying more PLEX-es via affiliate link. I totally support your message. When I established the narrative of the Minarchist Revolution, I set up the war on taxes fully aware that this is an objective that can never be achieved. There will always be greedy players that want to feed from the in-game taxes of other players to boost their own passive income. So my Alliance will always have someone to fight. And we are totally aligned in fighting goons, we just are doing it in different ways. people will be people. To get advantage they cheat. It's cultivated over generations. Once upon a time there was NA/EU Aion (1.5) launch. I'm EU. So my best chance to get "skillful enemies" (as I naively thought) was to roll opposite side of FTH. Yes WOWs For the Horde branched into Aion as Elyos (Alliance). So I decided to roll Asmodian (Horde). We grinded away. FTH cut nonaggression deal with Barakthul (the strongest top guild Asmodian side) so they split up the fortress core mob guards so they can grind pve mats for the TOP gear set quest line, without competition. Everyone not FTH nor Barakthul where killed on sight, free kills, these counted bit by bit towards the actual TOP pvp sets. There was more drama and out-of-game deals. So even without the RL monetary incentive. people will do what ever it takes to ruin play for others. I don't believe you would not have content for the blog. You had content before GRR project too. I don't know the statistics of your visitor traffic, but I think most of your core readers are from the times of your Business and Ideas posts. Theoretically if Goons would collapse and you've won, do you see any other projects in EVE Online which you would like to pursue? "They also get exclusive development information and can influence development, both formally (CSM) and over beers." This is so, so wrong. At least one CSM member has been kicked off the CSM and almost erased from history on CCP owned websites for buying up items based on information they got from being on the CSM and possibly one more just did. The CSM are a focus group, not amateur game developers and they often bemoan the fact that CCP often doesn't listen to them, see Aegis Sov, trollceptors and fatigue for examples of CCP taking a very long time to make changes because they were wary. CCP are not as easily manipulated as you like to think and they don't make changes based simply on what a CSM says. The said examples are the exact proof of CCP being easily manipulated by CSM. Trollceptors were the actual thing that made uncontested sov capture possible behind hellcamps. Now it's not. 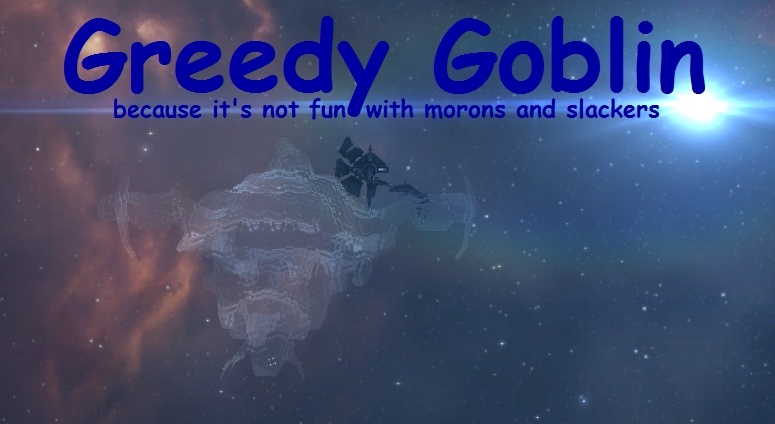 GG CCP, if you cave in to trolls on CSM just a bit more you'll implode. Aegis sov is also a great thing, which was nerfed by moaners of CSM, when CCP refused to cull the moans. Same with fatigue - nobody likes it, but it was a lot worse without it. It took a very little time compared to what it took to finally go through with them to nerf them into near-oblivion from certain nullsec CSM moans. CCP was had like a door rug there.